Road Tripping In A 2018 Nissan LEAF - Is it Capable? Is it a real road tripper or just a local commuter? Nissan has been on a roll since 2011 with its Leaf electric car. The Leaf was the first mass-market all-electric vehicle and is still the best-selling electric car in history with more than 300,000 sold worldwide. It’s won about every award for green automobiles, including the World Green Car award twice. But the original Leaf got long-in-the-tooth and, despite continual annual updates, was ready for a major upgrade. For 2018, Nissan delivered a fully updated and improved Leaf. The new Leaf makes advances in every dimension. 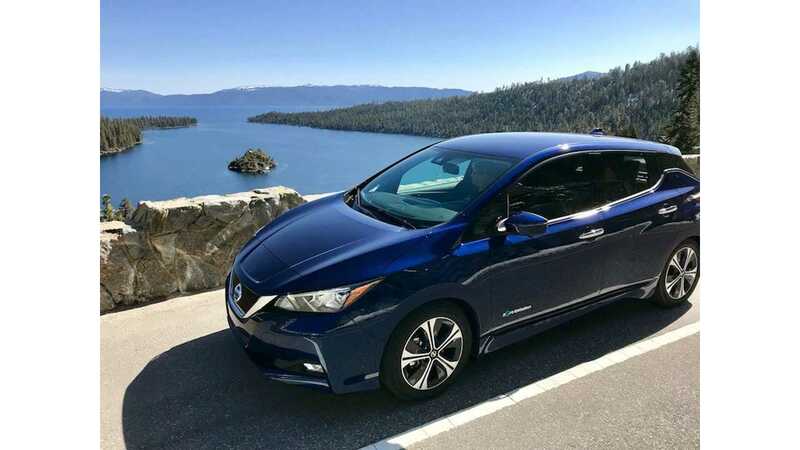 While some electric cars strive only to improve range, the Leaf focuses on value, and scores home runs on all the things that make a great electric vehicle. Not only is range improved, but style, comfort, performance, safety and technology get significant upgrades. What is remarkable is that Nissan manages to make all of those improvements while offering the new car at a lower price than the one it replaces. Part of how they do that is by keeping the same platform that the first-generation car had, but improving and reducing costs in it. The new 2018 Nissan Leaf ‘s 40 kWh Battery has an EPA range of 151 miles, which makes it the single mid-range electric car on the market today. Although it has increased range, it can still be had for under $30K, which makes it the least expensive electric vehicle on the market today. ***Editor's Note: Our thanks go out to Gary Lieber and CleanFleet Report for allowing us to share this real-world LEAF road trip experience with our readers.  Check out CleanFleet report here. 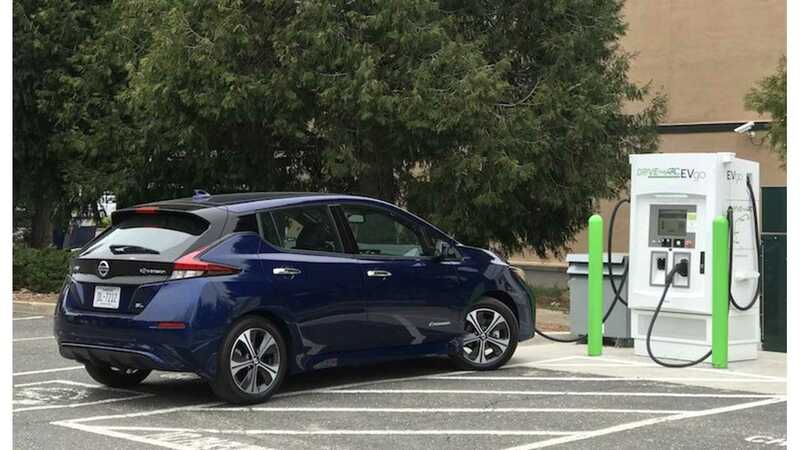 With its new range and capabilities, Clean Fleet Report wanted to see if the new Leaf was an option for taking a weekend vacation of a few hundred miles. Would it be up to the task, or would it end up being a long drawn out affair with range anxiety, searching for charging, and substandard performance? With that challenge accepted, we planned a trip from the Pacific coast town of Monterey, California, to Lake Tahoe, nestled high in the Sierra Mountains, 350 miles away. This trip would range from sea level to more than 7,300 ft. and back down again. This trip would stress test the Leaf to the extreme. If it had shortcomings, they would be exposed during this trip. 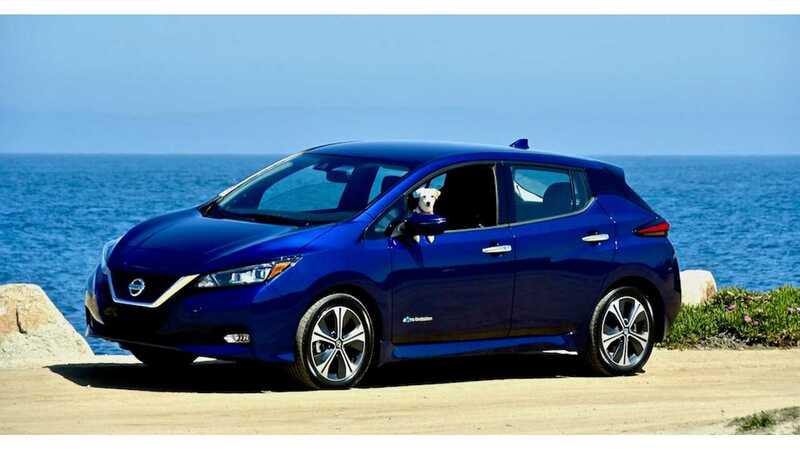 Nissan accepted the challenge and provided a 2018 Nissan Leaf SL complete with ProPilot Assist. The route took advantage of the readily available DRIVEtheARC charging network that stretches between Monterey and Lake Tahoe. While most charging for an electric vehicle happens at home, public charging infrastructure is still a work in progress. Tesla has invested heavily in an inter-city charging network with its proprietary SuperCharger network, but by and large industry standard networks like CHAdeMO and SAE DCFC networks are sparse to nonexistent outside of urban areas. DRIVEtheARC is a pilot project funded by the New Energy and Industrial Technology Development Organization (NEDO), which is Japan’s largest public R&D management organization, the California Office of Business and Development, the California Energy Commission and the California Air Resources Board. In addition to the government partners, private industry participating partners include Nissan Motor Co., Kanematsu Corporation and EVgo. 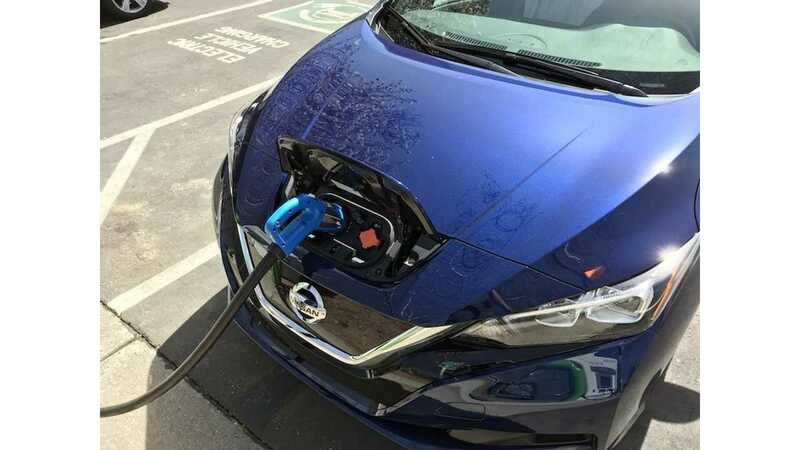 California is the most significant market for plug-in electric vehicles in the US, and in Northern California, Monterey and Lake Tahoe are top weekend vacation destinations. DRIVEtheARC has installed 55 DCFC chargers on major highways between Monterey and Lake Tahoe and offers free charging to plug-in electric vehicles that utilize the CHAdeMO standard. My wife and I have lived in the Bay Area for many years and take several trips to Tahoe each year. We have a route that we always make and have great metrics for how long the trip takes in an ICE car, so the goal was to make our regular trip to Tahoe in the 2018 Leaf and compare the experience to previous trips. The itinerary was to start in Monterey, drive up through San Jose to Brentwood to pick up a friend who has a residence in Lake Tahoe, spend a few days in Tahoe, and then drive back. The route will take us on flat Interstates, secondary roads, through Sacramento, where we usually stop for lunch, and then up Highway 50, which is a steep 7,300-foot climb, and then down to the 6,200-foot elevation of Lake Tahoe. The Leaf would carry three adults and all their luggage for a total of 293 uphill miles. The return trip takes us to North Shore Tahoe and onto Interstate 80 at Truckee, then on to Sacramento and Interstate 5 back home again. This segment was 233 miles. The total round trip would be about 526 miles. One thing that would be different from the usual trip to the lake is that we would drive at the posted speed limits the entire trip. I made a test trip from San Jose to Monterey and back the day before we left, driving 128 miles round trip. When I got back, the Leaf still had about 32 miles of range indicated, so this provided a good sense that the stated range on the Leaf’s “Guess-O-Meter “(GOM) was much more accurate than on earlier Leafs. Things were looking up that the remainder of the trip to Lake Tahoe was possible. After L2 charging overnight, the next morning we set off in the Leaf to Lake Tahoe with 168 miles of indicated range. The first leg of the trip was on I-680 and I-580, which are relatively flat interstates. Next we picked up our passenger and then traveled on rural roads to get onto I-5 to Sacramento, where there was a stop for lunch while the Leaf had it’s first QC. Speeds varied from 55 mph on the local roads to 70 mph on I-5. This drive typically takes about three hours in an ICE. Surprisingly the Leaf pulled into the Sacramento QC at about the same time that is the stop for lunch. So far, so good, for the trip. The total distance of this leg was 132 miles. Lunch took an hour, and the Leaf finished its first QC in about 45 minutes. The car charged up to 95 percent capacity in that time, so we began the next leg on Highway 50, Sacramento to Lake Tahoe, which is the most challenging part of the trip. This part of the trip is 101 miles and has an elevation gain of about 700 ft. every 10 miles. The road starts off as a four-lane road with a speed limit of 55. As Highway 50 increases in elevation, it becomes a narrow winding road that is much slower. Would the Leaf make it on one charge? As the Leaf progressed up the grade, confidence increased. The Leaf stayed up with traffic, and by the looks on other drivers’ faces, they seemed surprised that this EV was holding its own on this mountain road. Unfortunately, the driver and passengers bladders were not as strong as the Leaf’s battery, so about halfway up the grade, we stopped in Pollock Pines for a bio break. It turns out that Pollock Pines has a DCQC right off the road at the local shopping center. At that point, we were at 4,000 feet and had traveled 54 miles. We had a reserve of about 45 miles, but South Lake Tahoe was still 47 miles away. Too close for comfort for this inaugural EV trip, so a DCQC of about 15 minutes was in order. The Leaf added approximately another 35 miles of range. That turned out to be perfect, as the Leaf covered the last leg of the trip in about an hour. This second QC in two hours elevated the battery temp to just left of the red mark on the temperature gauge, but the car still performed normally. The last part of Highway 50 to Lake Tahoe is the narrowest piece of the trip, and the traffic was much slower than the rest of the trip. It took over an hour to travel the last 47 miles. During this section ProPilot Assist with adaptive cruise control kept a proper distance in traffic. The e-Pedal was also incredible, allowing one pedal driving, especially in heavy, slow traffic. e-Pedal has to be experienced to be appreciated. The Leaf and its passengers cruised into the hotel in Lake Tahoe at about 4:30 p.m., which ended up being about 90 minutes longer than the usual driving time in an ICE car. The delta was a combination of driving the speed limit and stopping for charging. The trip time equaled a reasonable leisurely drive. Normal ICE quick weekend trips to Tahoe, where you are driving like a bat out of hell on I-80, can take less than 3 hours. The Hotel had free L2 charging, so we plugged the Leaf in, and everyone went to dinner. The next morning the Leaf had finished charging to 90% (the hotel L2 charger had a maximum time limit on it) at about 2 a.m., and it was ready to go with 145 miles of available range. The battery temperature was back to normal, and all was well. Because the DRIVEtheARC and hotel charging is free, the total cost of the trip so far was $0.00! 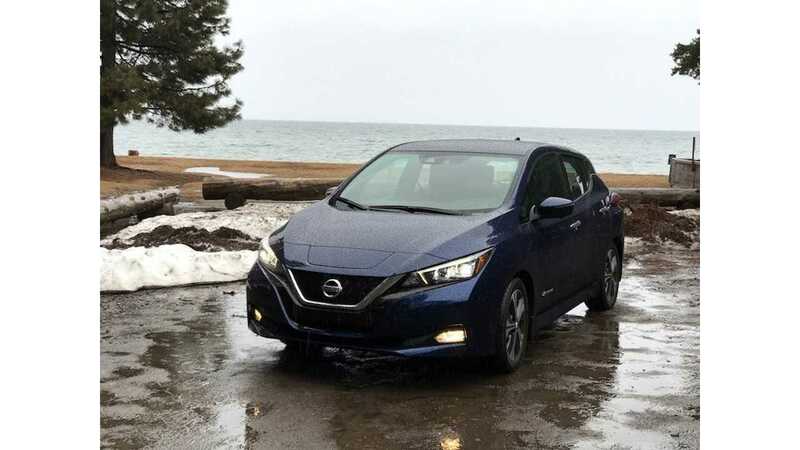 At that point, it was determined that the 2018 Leaf was a perfectly capable weekend vacation car and that a 280-mile trip was possible driving at highway speeds, up mountain grades, and did not take much more time than driving the same route in an ICE vehicle. The cool thing about an EV is that it has the same horsepower at sea level as it does at 7,000+ feet. Over the next three days, the Leaf did not have to charge at all. The 2018 Leaf’s extended range simply eliminated range anxiety. The new Leafs’ handling in inclement weather was put to the test as the last big storm of the season passed through Lake Tahoe during the drive. The storm brought heavy rain, scattered flooding, intermittent snow and sleet during our stay, but the Leaf was stable and made for confident driving in some awful weather. On the final day of the trip, the storm had passed, the weather was crystal clear, and the lake was spectacular. The route home would take the Leaf on the picturesque west side of the lake road to Truckee, CA, and I-80 down to Sacramento, then on I-5 to Brentwood, and then back to San Jose on I-580 and I-680. By the time we got to Truckee, range was only down to 125 miles thanks in part to some downhills that provided exceptional battery regeneration. There is a DRIVEtheARC DCQC in Truckee, so stopping for 45 minutes of charging got the range back up to 169 miles of indicated range for the trip back. I-80 to Sacramento is primarily downhill with just a few significant uphill sections, but with ProPilot set for 65 mph, and staying in the right lane, everyone enjoyed watching the rest of the traffic scream past at 75+ mph. The goal of this section was to see how much of that 169-mile range was available. As the grade increased, the Leaf was always in regeneration mode, with the range at one point reaching 215 miles. The Leaf even passed a few Tesla EVs that for some reason were going slower than the Leaf was. Could they have been suffering from range anxiety? Once past Sacramento and onto I-5 headed south, the speed limit increased to 70 and the Leaf experienced a bit of a headwind, but made it into Brentwood in three hours with two percent of battery left. The low battery warning was on, and the range was 0, but the Leaf was able to get to a DRIVEtheARC station. For this leg of the trip, the Leaf had traveled 169 miles on a single charge. Plugged in and charging, we went to lunch. When we came back 45 minutes later, we experienced the only hiccup of the trip. The Leaf had charged for 45 minutes, but because the battery range was essential zero, it had only charged to 50 percent of capacity with the battery temperature normal. This behavior was because the DCQC only provides 45 minutes of charging at a time. That gave an indicated range of 80 miles, and the final leg was 65 miles, but there were two sections of highway that had significant hills with steep grades. This last part was going to be a challenge. The Leaf started the last leg of the trip and, over the first set of hills, as it approached one of the DRIVEtheARC chargers, the Leaf was down to about 40 miles of range and still had a significant grade to cross on I-680 with 42 miles to go. So we decided to be safe rather than sorry and stop at the charger for about 20 minutes. This delay was okay because the charger was next to one of the best bakeries in that area. So while the Leaf was feeding on electrons, the passengers were feasting on soft custard buns! After that brief stop, the Leaf was off again and made it home safe with range to spare. Lessons learned from this trip? This trip proved that vacation and weekend trips of about 250 miles are very achievable with the 2018 Leaf. Range anxiety in the 2018 Leaf has become a thing of the past. In California, the DCQC networks are being built out quickly and make trips even in challenging terrains routine. As goes California, so goes the nation, so mid-range travel in a BEV will one day be routine in other areas across the U.S. The 2018 Nissan Leaf performance during our Tahoe trip shows that you that can go the distance in a well-equipped BEV for under $30K. The rumors about the new Leaf not being able to endure multiple DCQC without excessive charge time slowdowns proved to be unfounded. During the trip, charging behaviors were no different from previous 2011 and 2014 Leafs. The most significant challenge is that a larger battery can mean longer charge times regardless of the charge rate. All BEVs throttle their charge rates as the battery fills up, but the 2018 Leaf’s charge profile does not seem any different from earlier generations. The challenge for all BEVs is that the larger the battery, the longer time it will take. As infrastructure and BEV charge rates increase, charging times will improve, but the laws of physics apply and the bigger the battery, the longer it will always take. Nissan’s ProPilot Assist is a top-tier solution that is in many ways superior to all other Level 2 autonomous driving solutions from every other automaker. The 2018 Nissan Leaf is the best balance of quality, value, features and cost of any BEV on the market today. It might not be the longest range BEV on the market, but it makes up for it in every other dimension. If range is your most important quality, wait a few months, as a long-range (and more expensive) version will soon be available. We look forward to putting that version to the test and sharing our impressions with you as soon as we can. Would Clean Fleet Report recommend driving a LEAF cross-country? No, we would not, but then again, we would not recommend driving any BEV cross country unless the driver has the patience and courage to do so. Even with the Tesla SuperCharger network currently being the most extensive, the national BEV charging infrastructure is still not there. Even vehicles with more than 250 miles of range suffer from other shortcomings that make long-distance travel impractical and unpleasant at this point, except for those with masochistic tendencies. 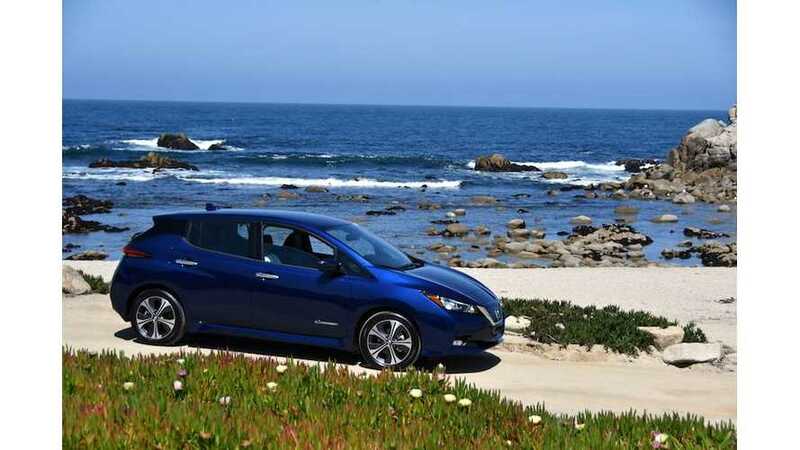 However, for vacation and weekend trips under 250 miles, the 2018 Nissan Leaf is an excellent and safe choice. As a daily driver commuter car, the 2018 Leaf is the best choice of any BEV on the market today.